Daniel Amen: Pioneer or profiteer? 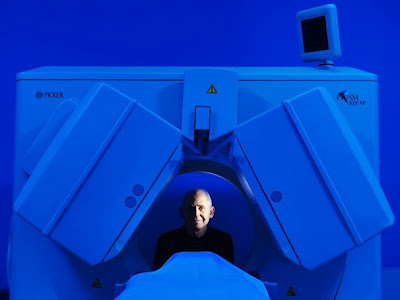 : Psychiatrist Daniel Amen uses brain scans to diagnose mental illness. Most peers say that’s bonkers. Daniel Amen is the most popular psychiatrist in America. To most researchers and scientists, that’s a very bad thing. By Neely Tucker, Published: August 9. NEWPORT BEACH, Calif. — Daniel Amen is, by almost any measure, the most popular psychiatrist in America. He has arisen, like a modern-day American myth, from the fields northeast of San Francisco, where he ran a small-town clinic, to become the creator, chairman and CEO of the Amen Clinics, an empire that includes a string of psychiatric practices, a line of nutritional supplements, book publishing, DVD sales, and television and speaking engagements. Amen’s career is very troubling, for one of two things must be true. One, Daniel Gregory Amen, born in 1954 in Encino, Calif., son of Lebanese immigrants, is 20 years ahead of virtually the entire psychiatric field (he says about three dozen other clinics use SPECT scans, but few as profusely as he does), and the establishment has failed to recognize a historic breakthrough. Or, two, the man has grown fabulously wealthy — he lives in a $4.8 million mansion overlooking the Pacific Ocean — by selling patients a high-priced service that has little scientific validity, yet no regulatory body has made a move to stop him. SPECT (single photon emission computed tomography) is a relatively inexpensive cousin of PET scanning (positron emission tomography) with lower spatial resolution.1 There is no peer reviewed literature that establishes SPECT as a reliable method of diagnosing psychiatric disorders. "SPECT scans are not sufficiently sensitive or specific to be useful in the diagnosis of A.D.," neurologist Michael Greicius , who runs the Stanford University memory clinic, and has a special interest in the use of functional brain imaging in the diagnosis of A.D., tells me. "The PBS airing of Amen's program provides a stamp of scientific validity to work which has no scientific validity." No major research institution takes his SPECT work seriously, none regards him as “the number one neuroscience guy,” and his revelations, which he presents to rapt audiences as dispatches from the front ranks of science, make the top tier of scientists roll their eyes or get very angry. “I think you have a vulnerable patient population that doesn’t know any better,” says M. Elizabeth Oates, chair of the Commission on Nuclear Medicine, Board of Chancellors at the American College of Radiology, and chair of the department of radiology at the University of Kentucky. “A sham,” says Martha J. Farah, director of the Center for Neuroscience & Society at the University of Pennsylvania, summing up her thoughts on one of Amen’s most recent scientific papers. “I can’t imagine clinical decisions being guided by an imaging test,” says Steven E. Hyman, former director of the National Institute of Mental Health and current director of the Stanley Center for Psychiatric Research at the Broad Institute of MIT and Harvard. But wait! Didn't The Neurocritic just write a post that expressed some degree of optimism about the prospect of a "stratified psychiatry" of phenotypic or genotypic subtypes at some unspecified future date? But beware! This is not the same thing as using a SPECT scan to devise a treatment plan. In his NIMH Director's Blog, Dr. Thomas Insel singles out Amen and warns, Brain Scans – Not Quite Ready for Prime Time. Where Are the Clinical Tests for Psychiatric Disorders? The prospects of ‘diagnostic tests’ for DSM entities remain distant for reasons articulated above, and it seems unlikely that we will replace the 300-disorder taxonomy of the DSM-5 with an alternative biologically based classification system anytime soon. Therefore the real opportunity for psychiatry is to use the emerging advances in genetics, molecular biology, imaging and cognitive science to supplement, rather than replace, the symptom-driven diagnosis. He says he has taught himself — by scanning 45,000 people a total of 70,000 times — to apply SPECT, alongside clinical evaluations, as a diagnostic tool in 90 percent of his patients. The brain activity he says he sees in these scans — areas of high and low activity — allows him to target those areas with specific treatments and medication, he says. A full initial session, including two scans, costs about $3,500. 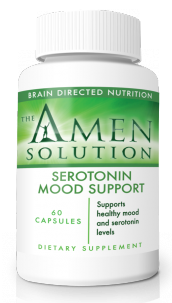 Amen says this method has helped him identify new subtypes of anxiety, depression and attention deficit disorder, categories far more specific than even the forthcoming fifth edition of the Diagnostic and Statistical Manual of Mental Disorders, the benchmark of the field. And what are those treatments and medications? Exercise, healthy diet, supplements from his product line [e.g., Serotonin Mood Support], and prescription refills in some cases. "Due to overwhelming popularity we are now offering the Brain on Joy Bar by the case (18 bars)." Am I blue, Dr. Amen? Amen’s first scan patient, back in the early 1990s, was Sandy. She was 40, had ADD and had tried to kill herself the night before their initial meeting. In his telling — it is his Genesis story, and he has told it many times — the resulting scan showed a precipitous drop in activity in her prefrontal cortex, the brain’s decision-making center, when she tried to concentrate. Realizing it was a “biological, not moral” problem, she accepted the diagnosis, took her medications and was greatly helped. “I thought, ‘Whoa. Pictures matter. You get great compliance,’ ” Amen says. Tens of thousands of individuals, many of them children, have been exposed to the radiation of two SPECT scans and paid thousands of dollars out of pocket (because insurers will not pay) against the advice of many experts... The Amen Clinics are now marketing their services outside the medical arena, advising couples with marital problems and even “prescreening” couples. People are swayed by colorful brain images, whether they're in the classroom, the courtroom, or the clinic. Or on reality TV. SPECT scans should not be used for diagnostic or entertainment purposes; there's no scientific evidence for the former and the latter is unethical. On Amen's Dec. 2007 editorial in the Los Angeles Times advocating SPECT scans for presidential candidates. On celebrity SPECT scans from celebrity patients in the reality show Celebrity Rehab with Dr. Drew. Also a lesson in medical ethics. Special guest appearance by Dr. Amen. On the startling similarities in the SPECT scans of Celebrity Rehab participants Dennis Rodman and Mindy McCready. 1 In case you're interested in learning more about how the method works, this review chapter (by the Committee on the Mathematics and Physics of Emerging Dynamic Biomedical Imaging, National Research Council) is one place to start. 2 In fact, I can tell when there's a PBS fundraiser because the number of visitors from a search of daniel amen quack increases. 3 However, new research applies machine learning algorithms to neuroimaging data in an attempt to classify patients with neurological and psychiatric disorders (Orrù et al., 2012). Farah MJ. (2009). A picture is worth a thousand dollars. J Cogn Neurosci. 21:623-4. Orrù G, Pettersson-Yeo W, Marquand AF, Sartori G, Mechelli A. (2012). Using Support Vector Machine to identify imaging biomarkers of neurological and psychiatric disease: a critical review. Neurosci Biobehav Rev. 36:1140-52.
good post, the radiation exposure is perhaps the most scandalous part of all this. I don't know exactly what the risk of inducing a fatal tumour is for Amen's scans. But for comparison, a PET study I am involved in at the moment, has an estimated risk of about 1 in 4000 per subject. Which would make an estimated 18 cancer deaths if we had an n of 70000. I agree--this man presents a danger to patients and a threat to the credibility of the field. Although diagnosis by brain scan is a fascinating and plausible future application, we currently do not have enough information to assess mental illness through SPECT, PET, or MRI. I say that as someone who works in a lab actively trying to improve our ability to use MRI to estimate likelihood of relapse for abstinent, dependent drug users. Raising this issue is an important step in keeping the public informed of such hucksterism, so thanks for bringing it up. Wait - he's "taught himself" by scanning 45,000 people 70,000 times - at their own expense? How is this not such an egregious ethics violation as to compromise his license? It would clearly not pass an IRB. And yes, the radiation is a not insignificant risk here. I know a psychiatrist who advised Amen when he was just starting out. He is incensed Amen is hyping SPECT scans in this fashion, and making a fortune at it. By the way, treatments at the Amen Clinics are not particularly creative. They make up diagnoses and prescribe arbitrary drug cocktails just like any run-of-the-mill psychiatric clinic. If you read the Yelp.com reviews of the various Amen clinics, you'll see lots of dissatisfied customers and interesting reports of half-baked treatment regimens. Thanks for your comments. Two of you (along with Martha Farah) have mentioned radiation as a concern, so certainly that's troublesome. Reading Yelp reviews of the Amen clinics sounds like an... interesting way to pass the time. I wonder if anyone reviewed the "Brain on Joy Bar"? Once I found his online store, it was hard to avoid going off on a tangent about his products. Great blog! This topic is one that's close to my heart (http://sethgillihan.com/brainscans/). The distance between the science and what clinics like Amen's are offering is startling. I personally have a close relative that was walking the streets in a wedding dress out of their mind, shortly after head injury, while studying for a masters degree aboard. Several*** doctors of this field could barley help her motor control and her delusions....being commited was a real possible option. I was very skeptical but after visiting to the Amen clinic and a year later. I write this Weeping we have her back!!! and she has finished up Masters degree. For year before here visit to Amen she went to several neurologist and phys doctors with mutiple test and treatments. Now she is better and back with us WHOLE. So many times through history men/women are cast aside due to others dissatisfaction with ones pedigree, methods, and education. The proof is in the results... not conjecture. After dealing with my own mental behavior issues for several years (I had three head injuries by 13) and diagnose ADD/ADHD I had decided to visit the clinic also ..still skeptical even after seeing clinic's tremendous progress with my own relative. I just completed my second scan and meet with for the eval this Friday. For so many to judge without going there meeting any of the staff: or having some REAL first hand relatives or friends who has gone there and gotten thier Love, Life, and Laugh back. The tone seems one a witch hunt of the methods rather than one of understanding that medicine and technology is in a continual discovery - development-research. Wish me well...I will try write an follow up to diag/treatment. If mental illnesses have chemical basises and can be treated with drugs then it follows that if someone's "depression" or "anxiety" or what have you was based on a different chemistry than usual then the drugs won't work. Widespread use of brain scans could help stem wasteful and potentially harmful prescriptions. That doesn't invalidate the symptoms but it does mean trying to use the drug in question would probably be a waste of time. Brain scans could also be helpful in choosing where to start with medication rather than playing around with various things to find something that works. I find it laughable that Psychiatry in general scoffs at this procedure as "not ready for prime time" or "not supported by the science"... It's hypocrisy at its finest. Psychiatrists look at symptoms during a brief snapshot in time and then make a "judgement" with no objective clinical tests that support it. Then they have the chutzpah to prescribe little understood meds that will literally change the person's fundamental brain chemistry with the prayer it might work - oftentimes with disastrous results. Then they prescribe more meds to cover up the side effects of the first med which then have side effects of their own. The basic question in clinical research is whether one has adequate evidence to reject the null hypothesis. The lack of evidence does not mean it isn't true. If findings on a Spect scan help patients have better outcomes, then in many cases it is probably worthwhile despite the radiation risks and costs. I would expect that improved outcomes, which is what the patient wants, is likely a product of multiple factors including the therapeutic relationship. Any bonified psychiatrist I would hope acknowledges the therapeutic relationship as being important yet is it possible to prove it in any randomized double-blind controlled setting? All medical treatments have risks which must be assessed in view of their potential benefits. Medical history is replete with all kinds of examples where physicians were helping patients for reasons poorly understood at the time. Before the pharisees crucify anyone I think the outcomes warrant scrutiny. I wish the field of Psychiatry would get it together. I want to help my daughter out of the dark pit she has fallen into, and Amen's ideas are the first I've heard that puts her depression into the realm of physiological illness in a way that makes sense to me. An X-ray is only useful if the person reading it knows what it means. Brain imaging is still developing, but if it can help people and save their lives, we need to continue pushing for it's continued refinement as a medical diagnostic tool. Taking psychiatric issues out of the realm of "character flaw" is vital. There are other diagnostic procedures that use radiation as well, but I don't hear many complaints about those. Imaging tests, across the board, guide clinical decisions in medical practice. If someone has a ruptured disc, broken bone, bleeding in the stomach...clinical decisions are based upon imaging tests and treatment is determined by them. So why wouldn't images guide decisions regarding the brain, out of which comes every function in the human body? I would rather one make a decision based on biology and assume the risk of some radiation. That risk's undertaken in every other practice. When it comes to thoughts and behavior, learning and emotion these are funadamental things that made a person "themself". How can we get past the elephant in the room that the Amen Clinics have not just good, but great results? Are there any peer reviewed papers where we can read about these great results? Any double-blind controlled clinical trials? It would be helpful if you could point us in the direction of these studies and the resulting published literature. As a parent of two children who were diagnoses with BiPolar Disorder at the age of 6 and treated with anti psychotic, anti-epileptic,mood stabilizers,(all off-label uses of course)by researchers at Mass. General Hospital (leaders in Bipolar disorder treatment)I have this advice: Be Wary, be Cynical, be Self Advocating and be Educated on many modes of treatment for any disorder. Bipolar Disorder Diagnosis was the flavor of the 90 's along with ADHD. The Pharmaceutical Research alone made billionaires out of researchers, encouraging layering of medications with little efficacy and many adverse side affects. After 12 years of medications with little result. I took my kids of all and taught them coping and life skills that allowed them to develop into well functioning adults. As a very wise Psychologist once told me, "no matter what advise you receive, remember it is just someone's opinion." Priceless statement to carry with you always! There are no definitive tests for mental illnesses, no blood test, MRI,etc. that solidify a diagnosis. Many people are round pegs trying to fit into square holes. Medications do not accommodate individual genetics.If all you have is a Hammer, everything looks like a Nail! So be aware that what you present to any Dr. as symptoms can and will in most cases fit an easy diagnosis that accommodates the 12 minutes your insurance allows your Dr to spend with you. As consumers we seemingly will try anything the promises a quick fix. Society insists we conform to norms in schools, on the job, etc. So it's a catch 22. Be Careful, Slow down and Think carefully before follow any mode of medicine. In hindsight I realized my children had severe anxiety! Not bipolar at all....live and learn. But try to learn first if you can. However, you fail to say that no one is willing to do the double blind trials to prove it one way or another. As far as I can see, he only uses spect scans as a part of a total diagnostic work up. I had memory problems and was subjected to a CT sac and an MRI and have had dozens of X-rays over the years. No doctor ever worried about how much radiation I was getting. I'm now booked for another X-ray and MRI. The medical community needs to respond to Dr Amen's claims and do the studies, not slam him as a huckster. However, I have a hard time trusting any medical establishment in the US that is nothing more than a big money making machine anyway. How ludicrous for professional doctors who make hundreds of thousands of dollars a year in a free market medical industry to call one of their own a huckster. Do the studies and when you've got the evidence, then say honestly, it is not a valid diagnostic tool. I find Dr. Amen's approach very intriguing. I think he is way ahead of his time and because he relies on a different approach than the rest of the psychiatric community he is labeled as a "quack". When I attended a community college in the early "70's I worked at a pediatric clinic. One of the physician's specialized in allergies. He had parents that brought their children from all over the US to go through days of allergy skin testing to determine what was causing their skin problems, sinus conditions, hyperactivity, etc. Many considered him a quack because the testing was very expensive but he had very positive results with the patients that received the injections for their allergies. He too was considered way ahead of his time. We read everyday now how allergies from so many different things can derail our bodies. I have a 27 year old son that was diagnosed with ADD at age 6. He responded well to stimulants at an early age but he wouldn't continue the medication because of the side effects. His real troubles did not begin until middle school. He suffered from lack of attention and organization, always losing things, impulsiveness and unknown to his parents bullying. We were told by his teachers that he would outgrow it but that has not been the case. The schools downplay this problems and I still don't think to this day it is treated as a huge risk factor for potential problems with children like it should be. As a result we did not seek any outside guidance for him. We had to pull him out of school in 9th grade due to him threatening to drop out and homeschooled him for the rest of his high school years. Fast forward now 8 years later and our son has been diagnosed with Crohns Disease, struggling with binge drinking, suicidal thoughts, anger, hostility, extreme anxiety, depression, and sleep disorder. We had to move our son back in with us to attempt to help him get his life in order. Finding a reputable psychiatrist and counselor is like finding a needle in a haystack! Asking for referrals for mental illness is not like getting good referrals for a primary care doctor. Psychiatry has advanced a lot but it still has a long way to go. I am a nurse and I research thing thoroughly before coming to an educated decision about things. I did hear about Dr. Amen on PBS and was very encouraged. When you read that Dr. Amen is just in this business for the money red flags do go up. But what we all have to realize is that he started out small and was committed to something he believed in and when you read the success rates his clinics have, one must come to the conclusion that they are doing some positive things. Families that have dealt years with a troubled child with ADD/ADHD will try anything to help their child improve their life no matter what age they are. I will continue to research the clinics before deciding to encourage my son to go there. Amen clinics dont file insurance. They do provide codes so you can find out what your insurance will reimburse you for. They also provide you the individual cost for each procedure or appt. My experience with psychiatrist costs,tell me his are in line with the norm in GA. Costs of scans are customary & similar cost at other facility's . My insurance covers 50% out of network,80% in network. I'm not in agreement with Obama Care,but at this time in my life there are benefits. Your insurance has to cover preexisting conditions & psychiatric care. Most insurance companies didn't before. If they did it was a token a lot only. I'm already paying a psychiatrist. So what do I have to lose really? People invest in a lot of different things & loose money. Radiation ? Really!! It's done all the time,if a Dr deems it necessary. Most dont give it a second thought. The Washington Post article states, "Researchers say, SPECT has largely since been surpassed by technologies such as PET and functional MRIs, which give images of far greater clarity. It’s no longer viewed as cutting edge." I can only speak form my own experience which is purely anecdotal. After I had radiotherapy which included part of my head many years ago, I became convinced that I had brain damage. I had many MRI's and a PET scan as well as extensive neuropsychological testing. None showed any abnormalities. After I saw Dr. Amen's first PBS broadcast in the 1990s, I made an appointment to have a SPECT scan done at his clinic in Newport Beach. At last I was able to see in the images (I still have copies), EXACTLY what I had long suspected. I had vastly decreased blood-flow in the area of my brain that had been irradiated. Yet these other "superior" imaging techniques showed absolutly nothing abnormal. So much for SPECT being surpassed. As for greater clarity, I recently had a SPECT scan done at a major hospital here in Los Angeles because I am now on Medicare and cannot afford Dr. Amen. I requested a CD of the images and they were vastly inferior to the images I received from Amen's clinic. Clearly then, there is a difference in the equipment and methodology being used. All these highly qualified critics who claim SPECT is not sufficiently sensitive need to compare notes on methodology, not who has the most exposure on PBS. They are clearly unwilling to cooperate with him, they are just trying to debunk him. There is nothing more vicious than professional jealously. As one journalist put it (I don't remember in which publication), "Debunkers will throw anything at the wall and see what sticks." Well they can live with faeces covered walls in there own lives but they have not affected mine. I am more skeptical of them (and you) than I am of him. Anonymous beware of the doctors covering up the already damage they have created to the brain by psychotropic medications, experiments then assessing how much damage is caused when all was well before with my loved one, now paralyzed , whispers sometimes drug induced parkinsons,deformed hand various dystonias undiagnosed or cover up all is still pending investigation not to mention code blacks detention until through the highest level escaping the clutches of the system. No his spect scan was not alcoholism and schizophrenia as mentioned for cover up or not worth the risk nor explained trustfully as yo why the test. Dr. Amen does not make diagnoses based on the scans he does. His books state that. You might have a point that the man is motivated by money, but all of us are to one extent or another. It's a matter of degree. If his level of money motivation is too high for your high standards, maybe your standards aren't the final authority for everyone. I'm an MD. I went to an Amen clinic and received a diagnosis based upon an thorough interview. The scan showed a pattern that indicated my type of depression would respond to Lamictal not SSRI's. It turned out the scan was right. SSRI's had never worked for me in the past, but Lamictal helped me for many years until I got off all prescription meds. In every field of science, the establishment rejects the new ideas and says childish and ignorant things against the person they fear might be on to something they've missed. It's the rule, not the exception. This is how science always makes big gains. It's cliche. Dr. Amen seems to love money and things. Americans seem to hate doctors for having such a human trait. Excuse me for being human, but get over it! If anybody deserves to be filthy rich, it's a doctor. You have no idea what kind of hell it is to be a doctor in this country. If you think capitalism is dirty, just say so. That's an argument that has nothing to do with SPECT scans. Dr. Amen deserves the money he makes, same as a pro ballplayer, a rock star or a successful actor. Same as you. The danger here is not Dr. Amen's ground-breaking courage and insight. It's the psychiatric establishment and its heel-dragging. Every type of doctor wants to know as much as possible about the organ(s) they're treating except the traditional psychiatrists. They bury their heads in the sand and live in denial. They fight and disagree on every issue. They're more divided in opinion than a religious group. Sad. Dangerous. But true. Give Dr. Amen a break. At least don't say he's making diagnoses based on scans when he's not. His books say the opposite. My experience with three of this shrinks showed me the opposite. The SPECT scan helps guide the treatment, not make the diagnosis. I saw and met Dr. Amen myself in the past. I lived in Newport Beach, California for two years and the whole time I went to his clinics. When you go there...its unlikely that you'll get to meet Dr. Amen yourself. He only shows up once in a while. Anyway. What kinda result you'll get depends on which psychiatrist you see. I've switched four different psychiatrists in those two years until I get to the one that's more suitable for me (even then, it still wasn't perfect. Not quite.) And after all the treatment, I still suffer from ADD, anxiety and depression. (And still unable to function without drugs -- not illegal drugs -- and/or smoking) I no long have the financial means to go to his clnic. If money isn't an issue, I'll probably give it another shot and hopefully next time, unlike last time, I'll be able to get the most out of the treatment, in the least amount of time possible. Amen Clinics...it's most likely not as good as the way it's being touted it to be. But if money is not an issue...hey. Dr. Amen says he has taught himself — by scanning 45,000 people a total of 70,000 times — to apply SPECT, alongside clinical evaluations, as a diagnostic tool in 90 percent of his patients. It is very easy to calculate how much money that he had generated from scanning his patients' brain. Did he pay income tax( very easy to calculate) on those scans? I am a practicing psychiatrist. One patient of mine went to the Amen clinic, and in addition to the scan, she also received a very thorough evaluation from one of the psychiatrist working there. The diagnosis reached was arrived at by the history and exam. It was the same as the diagnosis I had reached, and the treatment recommendations were the same that I had made (This may have been before they were selling supplements and brain bars.) The pictures of the scans came in a nice big binder, and were impressive-looking.… but they didn't add anything to the practice of good psychiatry. The patient was several thousand dollars poorer for it. She was hoping that the Amen Clinics could provide her something that unfortunately is simply not available at this point in psychiatry. Several years later, I am still treating the patient. I am grateful for her experience, so that I can share it with other patients who ask. A number of people I know, all very dissatisfied by the their treatment at Daniel Amen's clinics, have received Cease and Desist Orders from a non-lawyer at Dr. Amen's corporate office out lining the most dire consequences if they do not remove their negative reviews of their treatment . And to entice them even further, checks equal to what they paid accompany those bogus "Orders." Whether or not they sign the enclosed contract agreeing to stop all legal actions against Amen, Inc. and to never criticize it again, by cashing that check they agree to those terms. Perhaps this is why so few patients complain in any meaningful way about Dr. Amen. Amen is ALL about money. He makes so much money that he doesn't care about returning all your money if you complain. His claims have no scientific evidence and he did NOTHING for me. All I received after spending thousands of dollars was a nice binder full of nonsense! I wonder who are those people who write excellent reviews for him and put love comments on his Facebook. They are all lying! I swear they are. Does he pay all of them? Why not? he makes millions every year. I find it very hard to be a fan of a blogger who write about things with little care or knowledge and end up conveying incomplete or biased views about subject who might actually be doing smth to better human lives. You wrote about the negative sides of it, what about the articles Dr. Amen published with some of the spearhead in his field? Will it not be unfair of me to write a post about a subject with unbalanced view? You articles is filled with a lot of personal judgement, assumptions and way too little proper references. Have you read any of his books, or articles that he published? How come you didn't add some of the good things researchers in his field are saying? Reading your post make me feel that, you have made the decision for me already and you are not allowing me to critically think and make my own decision. If you post is making the decision for me, than why are you writing or why should I be reading it or be your fan? It's up to Amen to come up with the study. The one who makes the claim is the one who has the burden of proof. I have also received a very threatening letter from Amen's pretend "lawyer" saying I'd be sued for slander if I don't remove my bad review. AND a check for what I paid. They buy silence. They don't earn it. Amen has to be investigated and shut down. For the few of you who received a full refund when you were dissatisfied with the service.. Wow, thats nice of them. I wish my Primary Care Physician would give me a refund if I'm not happy. Better yet, a refund from the insurance company would be nice. Consider yourself lucky. No one can please everyone. And if a non lawyer impersonated a lawyer, you should sue for "impersonating an officer of the court"
If you signed the back of a 'buying silence check' you are allowing the fraud to continue. Don't blame him, blame yourself. Amen buys silence. By paying off their critics and threatening legal action they make a very calculated business move: Spend a few dollars so many more unsuspecting clients will give us their money. They are not being "nice" or generous, and the one thing they do not do is take responsibility for what they do. As for "allowing the fraud to continue" by accepting the check: Not many people are wealthy enough to pass up a refund of a few thousand dollars regardless of how "moral" they might be, and Amen knows that full well. 2012, august.... updates where to look? CORRECTION: My review of April 16, 2015 should have been addressed to Anonymous April 10, 2015. Amen is undermining the foundation of an entire industry, so of course he will have very motivated critics speaking from vaunted pedestals in the field. Mental health professionals' image of themselves and their profession depends on this specialized skill of briefly talking to someone and divining what's going on in their mind and body. Not much different from a fortune teller. Again, even if Amen is wrong, he's pulling the field kicking and screaming into the "modern" era where objective diagnostics play a role, only a hundred-plus years later than the rest of medicine. Amen's critics are holding back their entire field by stigmatizing someone trying to bring innovation to the field. If psych had a better track record for curing and healing, then there wouldn't be the demand there is for Amen's approach. Any fool can come up with a "new and revolutionary way to bring psychology into the future," whether it's valid or not. Amen promises the Moon and charges a fortune for it, but doesn't deliver. That's why he's criticized. I've seen a couple of his presentations (short and 2 - hour+) and I'm not seeing the what you all see. Is there something of a sales pitch? Maybe, but dieticians, diabetic care educators, and my baseball coach are no more or less 'sales-ee' when trying to provoke their audience to think differently. Traditional psychiatry is a voodoo science based on a few short conversations - THAT'S IT! I remember a number of years ago when Seasonal Effective Disorder was all the rage and making pharmaceutical companies big money. The first doctors who suggested light therapy (broad spectrum light bulbs that paralleled sunlight) were called quacks. After a few clinical trials were run...low and behold light has comparable or better success than anti-depressants and at far lesser cost and zero side effects. At the very least, patients can determine it's effectiveness in days vs. waiting weeks to get titrated on different drugs. If a brain scan prompts a physician to think, "This situation doesn't look like X or Y, so let's start treating for Z"- then that is an improvement. These scans don't seem to be much different than the x-rays or MRI's our family has gotten so the doctor could rule out possible problems. I don't see Amen doing much different. I don't know Dr. Amen or if HE is legit; but the focus should be on seeking what ever benefit there may be in considering new tools to assess the tremendous complexities that prompt behavior or influence severity. Everything said in the above review is true, but Amen is presenting his scans and treatment as the answer to your prayers and charging you as if they are. They're not. He wants to be attacked so he can say he's so far ahead of everyone else they feel threatened by him. They don't. They feel he'said a slick conman taking advantage of people who are desperate. I am not impressed by most psychiatrists. Seriously, they all need to turn down the dial of their egos. Its really unfair and unhelpful to deal with people who are beyond arrogant and assume you are less intelligent than they are. Do you want to know how many terrible psychiatrists I have seen in my life? About 10 out of 14. They are usually extremely arrogant, impatient, stuck on their own ideas over what you actually tell them. Most often, incredibly condescending and do not listen. A few of them have appeared self-medicated. As of yet I have received diagnosis that run the gamut ( ADHD, cyclothymia, GAD, depression, oh the popular one for interns BPD). None of these "diagnosis" had any scientific test, just questions and evaluations that can be interpreted many ways. There is no long term solution except finding a medication that worked better than others, for stability and coping. Cognitive therapy, exercise and really disciplining oneself and one's thinking is key. Dr. Amen offers great recommendations in his books that have really helped me and given me hope, far more than any psychiatrist I have ever seen. I have never spent the money to see Dr. Amen's clinics because of cost and I could sense a very opportunistic organization that was focused on making a lot of money but how many are not in the medical and dental field? As we just saw an American dentist can spend 55k to shoot a lion in Africa. I think pinpointing this particular man, because he has marketed himself, is not fair. Yes, he is way over-marketed and makes claims that may not be backed up, but we never know- right? How many times have I researched and asked "how does this medication work?" only to find, the psychiatric field does not know "exactly". I hope more research is done and there will be less guessing when it comes to prescribing medication and offering treatment. New discoveries about the brain are being made all the time. Evolution is the natural course and our brains more plastic than anyone ever imagined or claimed, thankfully. As far a the snack bars for a good time, every major corporate food producer has marketing psychologists, ever toy manufacturer. Its the marketing that is over the top. He gives advice to not eat sugar, not smoke, drink and to eat well. I have seen the worst of the worst food fed to severely mentally ill people living in facilities. This is a far greater injustice and warrants the attention and outrage of the psychiatric profession overly focused on Dr. Amen. SPECT scan or no SPECT scan. The bottom line for me is treatment. Why can't I find relief from depression, anxiety, ADD and mood disorder from the medications? That is the real question. I have been treated for many many years and to this day, I still can't find a medication that can help. I am medication compliant and exercise and I still live with depression. That is the real problem in this field. Because even if the SPEC scan can help with diagnosing, the medications available do not relief the symptoms. You guess are just jealous that he makes more money. Get a life unsuccessful psychiatrists. "As far a the snack bars for a good time, every major corporate food producer has marketing psychologists, ever toy manufacturer. Its the marketing that is over the top. He gives advice to not eat sugar, not smoke, drink and to eat well. I have seen the worst of the worst food fed to severely mentally ill people living in facilities. This is a far greater injustice and warrants the attention and outrage of the psychiatric profession overly focused on Dr. Amen. " I couldn't agree more. I worked for an ACT program, and the housing most of our clients were in fed them almost nothing but highly processed foods. No fresh vegetables or fruits, lots of sugar and trans-fats. That diet plus the medications these folks were on just about guaranteed morbid obesity and all the things that come with it. Mainstream psychiatric practioners would do well to quit their envious griping about Dr. Amen and start trying to solve some of the very obvious problems that are right under their noses. I am from the Bay Area, CA (born and raised). Dr. Amen's clinic that serves as a headquarters is located in Brisbane, CA- which is about 10 miles South of San Francisco. I would only suggest going to this place as an absolute last resort, or in extreme need of a certifiable diagnosis and treatment. I do not trust the validity of just Dr. Amen's word and ability to apply the knowledge has gained over the years in a way that can be regarded as accurate and valid on the same level most certifiable diagnoses are regarded in Western Medicine. Without a doubt Dr. Amen has done a wonderful job prfoessionally of capitalizing on new technology and seeing a huge niche in healthcare which has proven to be rather lucrative. Nonetheless, I do not think its wise to put full faith in Dr. Amen's ways. I cannot speak from personal reference, but have had family members be under this care as well as friends. It almost reminds me of the newer version of weight watchers for mental health in the 21st century. LOL...HISTORY REPEATS ITSELF OVER AND OVER AGAIN! Its like this from Galileos Time!! People have been slaughtered for saying the Earth was a Globe because their GOD- in this case there is no scientific evidence to showcase it! So in the psychiatric world it is considered absolutely ok to follow a freudian theory of symptomatic treatments and it is also ok for all and sundry "Expert" Psychiatrists to hand out anti-psychotic drugs to kids with ADD or ADHD! BUT is someone has the gall to point out their stupidity that the 'Psychiatrists' of this world are the only doctors who do not ever look at the physical organ they are treating. Each and every doctor no matter how big or small the organ, will look at various scans or tests to measure and check each individual case of the patient but the Psycho babblers have the gall to dole out medicines by listening to people droll on about their lives for an hour in their clinic!! WOW!! Really?? What is the psychiatric basis of Science and Proof?? so they conclude on basis of psychobabble - ohhh this symptom and this symptom matches so the cause will be the same? They sound like the stargazers and the crystal ball gazers if nothing else! Why the sudden awakening of criticisms...Wait and Watch all these So called great Psychiatrists who are currently AGAINST this will wait till this hoolaboo dies down a bit and (as psychiatrists they know that almost the entire population has a short term memory and will forget about this) thats when they all will emerge saying now the American Psychiatric Department has evidenced the great work that SPECT can bring to psychiatry etc...and the whole world will be giving Standing ovation saying WOW! what bloody Geniuses...It happens with a lot of things in the US because the US culture is breeding this kind of attitude first killing off the root where they found it and then after everyone has forgotten about it they will patent even the Centuries old Indian or Chinese Herbs and say that they 'Discovered' the medicinal properties of that herb...!! No wonder that US needs so many psychiatrists!! There is no law that states you HAVE to pay taxes. However, the government will do all they can to make people believe there is; even putting people in jail. I wish I knew the things you did to help your children. I'm desperate for help with my child. My daughter had been diagnosed as Asperger's when in 3rd grade. We followed the advice of the pediatrician, psychologist, psychiatrist, teachers ad naseum. Finally, when she was in high school, we took the financial plunge. We flew from Texas to Atlanta, and went through the entire process at the Amen clinic. From her scans, it could be seen that there was no evidence of autism, but she did have right frontal lobe damage-most probably from a very difficult birth experience. The symptoms can be very similar, but the treatment is not. After visiting the Amen clinic, her meds were changed to those which did not exacerbate the problem-most importantly, no more stimulants to treat the focus issues. Yes, they did suggest supplements, along with a very detailed plan to include new doctors in our home town, and exercises for the brain. Never once were we "sold to". We tried the supplements, but being a teen, it was hard to get her to take them because you usually have to take so many a day. We did not go the route of supplements, but armed with the correct information about her brain, my daughter has a significantly better life. Not exaggerating. We were told she would never drive, and she would not be able to go to college, that she should be in special education in high school, etc. Not only did she graduate from high school with a 3.7 gpa, she was accepted into a University immediately after high school. Her senior year of high school, she actually took 3rd place in science fair, second in state vocal performance, and 5th in state contemporary issues competition. She is now a sophomore in a University, and yes, she drives a car-on the highway and everywhere. I cannot explain why dr.s are reluctant to get behind this technology. When you are at the end of your rope to help your child, radiation exposure goes to the bottom of the list, way under quality of life in the home. It's not just the child who is affected, it's the entire family. And it's very difficult to deal with. Amen clinics gave us relief. It wasn't instantaneous, but it was quick compared to the years of struggle. When the Veterans Administration (which needed a Congressional inquiry to rein in their over prescriptions of opioids) is shocked by the number and dosages of psychiatric meds Amen Clinic prescribed to your loved one, you know something is very WRONG. Don't go there, don't let anyone you care about go there. Thank you for this, I have bee. Sceptical of psychiatric practice, it feels more like voodoo medicen and guess work which honestly I can't be dealing with at my age, I spent most my life suffering from symptomatic add and other disorders no help from the nhs and im now 30 no education no job and dependant on my mother who had a stroke. I have had enough of being told I'm depressed when I know it's not depression Ive self medicated illegally things work some don't but I am still trying and I need to get some kind of idea if this will work, I've had many head injuries in life been knocked out cold by a hand full of people too because, recently diagnosed with autism spectrum but my add was ignored by the psychological I was not offered a scan and felt kind of confused how the hell did she guess whats wrong with me from two 30min meetings and a letter I wrote telling her symptoms some of which are serious such as seizures and memory black outs dejavu and sudden sleepiness but all she focused on was the impulsiveness and inability to empathise put me on ssri and sent me home. It's enough to make someone suicidele tbh. But amen tho I do think in part it's profiteering it's a start and no where else has made the claims or given the help so far. You know the Spanish called columbus a mad man he would sail off the edge of the world. Science is based on trial and error this is a new way to approach a medicen that has included cutting brain tissue out electro shocking and incarceration because no one can crack open their noodle check it's oil and fill it up with the right gas. Least amen has given some people hope and a scan and consultation with a psychiatrist together diagnose people not just the scan. I smell many ignorant psychiatric practicing God wannabees in this post I hate American medicen tbh they care more about profit that healing the sick. If I could help others I would I understand my own mind very well and hate it when people tell me other wise. Will i go to him - no. Will i recommend him - no. Will i focus to eat better and restrain from alcohol, sugar and other not healty habits - you bet. I am now in week 10 on Amen's free six months course online. Like so many.I have tried several psychiaters in my lifetime. None healed me,none looked at my diet,my lifestyle . It took YEARS! And many of the years on medication. With side effect. Amen gives advice for free for anyone online,without a brain scan. I give it a try,as I can not see it will harm me to try a to eat different food and exercise more than I use to. He gives good advice with tricks we can use when we try to chargé habits.and reach our goals. No asking for our money. Will my brain be healthier after this six months ? I don't know.But this does not harm me,but motivate me to move more,eat setter and not resign and accept that mental illness is with me to the day I die. Interesting. While we walk through airport scanners, get examed for everything under the sun to include more mri's, as well as mamograms, whats the big issue with talking about physical brain health? There is zero in the fireld to actually explore the brain. Its great to see a pioneer and Not a physician talking about the workings but instead function. Its very interesting and could lead to better function and a reduction in ALZ! Now, wouldnt that be great. It's unfortunate that those of you who do not align with Dr. Amen's perspectives are so critical of brain imaging. I went to my primary care doctor, described a few symptoms, and walked out with a prescription for anti-anxiety medication. How on earth is that any more substantive than what Dr. Amen proposes. At least he's running a test to actually TRY to determine if there is real need for medication. I think it's just as ridiculous to go to my PCP and get a prescription for what likely could be treated with behavior modification. How can you assume there is no science behind his methods when he is working to prove the contrary. My opinion is to be open to various methods of diagnosis to help people become the best contributors to society that they can be. If you don't have any form of adhd. You have no way of understanding Amen's contribution to the world. I can't speak of all his other works. But his famous Healing ADHD book was the ONLY thing that ever properly outlined what was wrong with me and the best way to treat and manage it. All just by buying his book electronically for maybe $10. His knowledge is real, no overpriced clinic was needed to help! While SPECT scans may not be focused or fine-tuned enough, I have heard of legitimate psychiatrists/diplomates of the board of neurology using other scans with great success to make some diagnoses for bipolar and ADHD. It might have been something they used in 1 in every 5,000 clients, but they did do it successfully. Now, I absolutely would be wrong not to correct you, but if you think that the "guessing" game that psychiatrists do every day is based at all on science, you're waaaay off the mark. Even they know it. So, please, don't go spreading fallacies about that field. Thanks. So, you're wrong about the scans being useless (it depends) and that psychiatry is infallible science. Maybe you need to issue corrections here. That's what scientists do when they make a hypothesis that's proven untrue, right? Ironic, the patient is the one who has the burden of proof actually and unfortunately enough. I was considering paying a visit but the full evaluation with the 2 scans and follow up appointment come to a sum total of 3,900 dollars. which makes me seriously doubt the claims about wanting to help people, as some of us little people don't have that kind of money to gamble on something without proper scientific validity instead of merely claims. Very disappointing to someone who's trying to get their life together, it sounds very promising. What need for defending burden of proof if you're earning money by the Millions. I was forwarded codes for my insurance company that won't be covered and you have to be re-inbursed without them in the middle anyway, meaning you pay up front. All 4,000 dollars of it. That with the fact that it's a sensitive thing to me and i am in a vulnerable position even as i state this, seems like too many red flags. Besides i'd have to save for like a year or take out another loan. Michelle.. at least Dr. Amen is looking into physical causes of mental challenges. Instead of condemning his theories help him prove them or change them. Psychiatry sometimes, discounts physical causes to mental challenges. I was taught in human anatomy classes and sociology class in college that all psychiatric diagnoses are subjective even with the standards for the care. I have seen multiple lives destroyed by medical professionals & their assumptions about people. My uncle had an un-diagnosed thyroid challenge and the doc said that found it that it was his thyroid not a mental illness. that he had been misdiagnosed for years. It's why I doubt psychiatry on many levels. Prayers for discernment for all. Blessings. I want to offer a clarification about SPECT scans because people are comparing them to MRI's and Xrays. MRI's subject the body to magnetic waves that pass through the body and create a picture. X-rays of course subject the body to x-rays that pass throgh the body and make a picture. For a SPECT scan, the person is injected with a very small amount of a radioactive tracer which is read by a special camera to create 3-D pictures. It can capture movement over time of, for example, blood flow in your heart or what part of your brain is more or less active. X-rays and MRIs show what the structures in your body look like. SPECT scans show how your organs are working. It has been determined that different parts of the brain are responsible for different functions - like motor movement, internal organ functioning, emotions and executive thinking. There is no part of the brain that has been identified as responsible for depresssion, or anxiety, or ADHD, etc. Dr. Amen is making a link that activity/inactivity in a certain part of the brain allows him to diagnose mental illness or dvelopmental issues. It's the use of injecting radioactive tracers that is of concern. It's the conclusions that mental illnesses can be diagnosed by brain activity that is problematic. SPECT scans are routinely used to diagnose organic malunction of the brian for example SPECT can be helpful in determining which parts of the brain are being affected by Dementia, Clogged blood vessels, Seizures, Epilepsy and Head injuries. It sounds like his treatments are helpful to many people. But I observe that the personal histories and interview with people about mental illness is what leads to that diagnosis, not SPECT scans. If there is injury or physical problems with the brain, SPECT reveals that, such as a cyst or brain injury. There is a lot of work being done now in the ability of people to change their physical brains for the good by using positive thoughts. This is part of the exciting field of neuroplasticity and mindfulness meditation. There are many good books, online resources, and practitioners in this field that may help. I don't think it's such a bad idea. You actually can see the differences in the brains consistent with the different problems. It isn't as if you can't see anything at all. SPECT imaging is performed at hospitals all over the country, there must be some merit to it. If all the scanned brains ended up looking the same, I might agree with this article, but they don't, they all look different, consistent with whatever problems the patient is presenting with. Have you scientists even LOOKED at that? I'm a substitute teacher and a child (second grade) in my class was describing why she wasn't feeling well. She said she was treated in California at the Amen clinic and being given neurofeedback locally. She described a "hat" with "holes in it" that were "poked." Since she started many months ago, she says she's been unable to sleep, concentrate, or quiet her mind. I don't know enough about this treatment outside of muscular disorders, but could it be causing it? Or is she just experiencing anxiety over it? What she describes sounds exactly like my own anxiety disorder. She's also being given "vitamins" every day, probably straight from the Amen Clinic store (redflag). I do not know what she's being "treated" for, but looking at the Amen clinic website, it could be any number of things that can't be diagnosed or treated using SPECT and neurofeedback. I know that there's nothing I can do about this sort of child abuse, but it's still ridiculously tragic. Psychology in general has a low success rate. Having patients for years & continously changing med school. And yes there are stats on this. Psychology went into med school because it used to be a lame duck of medicine. Didn't even make money. Once I came to a psychiatrist because a neurologist couldn't figure out my problem...do it must be in the mind...no? Being a known psychiatrist he knew the exact diagnosis immediately before too long he perscribed some SSRI because he knew immediately I had clinical chronic depression. After buying the drug and reading the side effects and the fact that I need to dose on that drug three whole months before anyone could establish sister it works for me so I could no wash it out of my system, ever, I decided to think over whether I want something to alter my system altogether. Yes, I was in a bad mood due to living for three years with a spasm of facial muscles disturbing me to speak...and that is a horrid experience fora wife and a mother of five. Several days earlier I had lost my expensive cellphone which was my greatest luxury. As a therapist I asked myself if he asked me a very baisic question about anything disturbing me for objective reasons. His basement clinic and his face were also quite depressing I really walked out of there depressed...then I remember asking whether it really is a good idea to take such a drug, because I heard of a woman, who one day found the drugs stopped effecting her and looked worse than she would have, had she never taken the first dose. So he said: "why worry about something that may not happenn for fifteen years?! "...well that might mean a life sentence...? Giving me a bad prognosis...? But I was feeling down, especially after such an inspiring, empowering meeting...try?...maybe tomorrow. I've always been a health freak. How about changing my diet, cleansing, walking, yoga, maybe cognitive therapy? Shouldn't he have sent me to any psychotherapy or something of the sort? If I were depressed, research has proven drugs to work best with therapy, why try second quality treatment. This stuff can't be healthy. I'll stay away from drugs- isn't that what I was always told to do? I am not depressed. This is just s bad mood! Anyway, soon he called to ask how his treatment was working..."I am experienced enough to tell you that you have chronic depression"...well I will have terrible depression if you don't stop talking to me. I was too polite to tell him where I wish he would go and I did start to get depressed, in fact when your face is spasdicated it is a bit depressing. "Why to you think it is chronic? My situation is not very happy but that could change." He got deffensive, so I knew he had no idea what he was talking about so I was a patient patient and let him go on until he let out all he wanted to tell his inobedient client. It did not do me any good. I wasn't going to give in. No drugs and no toxins. Fast forward: Stoll have trouble talking but learned to cope with it better and went to study new "stuff" to take my focus elsewhere (stocks, healing and more). I go to body-mind therapy and just know I want to live and "be". But the psychiatrist did help me. I realized firstly, how I never want to look, sound or behave. Secondly, I realized that I can help myself and I really know a thing or two about my "self" and that no one could tell me what I want. So think twice before accepting any diagnosis from a psychiatrist. They will always look for which medicine to gone rather than whether a person needs any medicating at all. I will not debate the usefulness of spec scans for diagnosis, even though they are highly questioned within the medical community. I will focus my review on the other aspects of my experience. Even though they charge a huge amount of money, their "premium" services only includes one meeting with the doctor. Any further meetings or phone calls will be made with the doctor's assistant and not the doctor himself. After diagnosis, they asked me to start taking all sorts of different supplements for a total of 26 pills per day and charged me thousands of dollars for those supplements. Bear in mind that I didn´t take a single pill before visiting Amen. 3 weeks after I started taking the pills I still had no change regarding my state of mind and I felt physically bad because of the amount of pills I was having to digest. Finally I decided to start working with one of the most brilliant psychiatrist in my country instead. Unlike Amen where the doctor was never available, I was able to contact my psychiatrist at any time of the day via email and expect a response within a day. After 2 weeks of treatment I was feeling a lot better, and 1 month later I´m feeling better that what I´ve ever felt before. And what did I have to do? Take 1 pill of 20mg Prozac a day, the lowest dose available for adults. And my psychiatrist tells me it´s only temporary and I could even stop taking it after a year or two. Also, I met with the psychiatrist 3 times, for a total cost of $400 plus one box of Prozac a month, which is quite cheap. Amen charged me about $3500, plus travelling expenses, plus $2000 in supplements for just 6 months. Amen Clinics did not help my anxiety, they made it far worse. So I strongly recommend to avoid them and look for a clinic or a doctor that cares more about you than about making money of you. Ideally one should forget internet quack-versus-quack arguments, ads in freebie magazines, TV fundraisers. Those with serious medical issues ought to proceed into treatment on advice from a good GP, not TV! Bona fide nutritionists are now highly qualified, with impressive degrees from ivy league medical schools. They can suggest, based on a GP's blood test results, conservative but highly effective vitamin and dietary, exercise, and sleep regimens for their clientele. Much of the nutritional and lifestyle advice they give is very similar to Amen's, but they do not entrap patients into buying overpriced or unnecessary boutique treatments, or risking radiation. History students remember Galen's "food as medicine" theory. Good news: it still works. No I'm not a professional, only a convert, wishing you well. Thank you for confirming what I was already thinking. My son has been using heroin/meth for ten years and has mental illness. Long story short after years of rehabs, jail, prison, mental hospitals, etc. I considered trying the Amen Clinic. A friend went through the process with her son and said it was worth it. I've been skeptical because, like you stated, (and I paraphrase) if Dr. Amen is right, then why is he the ONLY one out there has figured this out? When a breakthrough treatment of any kind for any condition occurs, there may be a single person or team responsible, but it it works everyone else jumps on board so they can make millions too! If this was really the answer, there would be shoot-offs of clinics all over the world. I talked to the clinic just now and spoke to a very nice, calm woman who seemed 100% sincere about the accuracy of these tests. I'm not going to go through with it. I'm still at a loss for helping my son, but at least I'm not our $3.500! Glad I found your blog, some fascinating info here! A lot of these comments sound like Daniel Amen. Notice they all started at the same time complimenting his clinics... Anyway SPECT scans emit a LOT more radiation than other scans. Here's why: Often times you'll hear that SPECT is equivalent to a chest X-ray. This statement is only partially correct. The radioisotope most commonly used in SPECT imaging is Technetium-99m, which emits predominantly gamma rays. The energy emitted by the gamma rays are approximately 140 keV, which is around the same ballpark as chest X-rays. While most of 99m-Tc will decay by emitting gamma particles, there is a minute probability that 99m-Tc will also release beta particles, which are especially high energy and can easily cause DNA damage. Furthermore, while the energy of the gamma rays in SPECT and chest X-rays are similar, the dose of radiation over time are over two orders of magnitude greater in SPECT imaging. That's well over 100 chest X-rays! A single exposure of gamma rays from a chest X-ray lasts only a few seconds. In comparison, the half-life of 99m-Tc is SIX hours. This means that it takes 6 hours for half of gamma-emitting 99m-Tc to decay to 99-Tc. Thus, long after the SPECT scan is over (30 to 60 minutes), the radiotracers in one's body will continue to emit gamma rays for the next several hours. Don't get all that radiation for nothing! Stupid move, people. Be smart. Good luck. I t agree with you. I find the comments here to be suspect of sour grapes as anyone who is treated by "accepted standard psychiatric practice knows it a 15 minute appt to figure out which drug the y can sell for the pharmaceutical company so they can get the kickback. And thge research on effectiveness and outcomes are dismal. Talk about quackery! May DR. Amen cointinue to dfo great work. Yes!! I am sensitive to medicines anyway, so anything that helps point the doctors in a better direction is a good thing!! I was a patient of theirs in 2012, and just reading their summation of what I had been feeling and goin through for years is worth it!! Your a Dr. FRANKENSTEIN profiting off the mental issues of real people who have real issues. How come the FDA has not approved your methodology? Because you can't prove your methods. And worse off you charge huge sums of money for false promises. You were betterin San Fran as a private pratice. Your methods are over stated and I challenge you to simple methods that CBT and other simplistic brain scan imagining testing equipment could do. Showing P300 scans, Alpha, Theta and Delta waves which can and simplisticly show signs of depression,anxiety, ADHD,early onset Dementia, early onset Alzheimer's. Not to mention can discover concussionswithin seconds on athletes. All this and it portable too. Any challenge call L.J Schwartz @ MEDICS TESTING North America where we don't scare people into abusing their mind or money. I dont have much to say about Daniel Amen, but honestly I dont think the field wants a good diagnostic tool. To begin with it would - as the the article notes - mean that the symptom based mental health diagnostic system of the DSM would no longer be relevant. So in the name of relevance the system will continue to differentiate mental illness from medical illness, maintaining the stigma of mental illness, as well as leaving people to suffer through subpar treatment that treats the symptom and the side effects of that treatment rather than identifying, treating and or trying to resolve the problem. Again yet another example of a field not practicing what it preaches as it seeks to act based on maintaining the status quo of the field and its secondary gains. How has your mental health improved since your last post? I am interested in your progress/experience.